Copper Canyon Press, 9781556593345, 69pp. 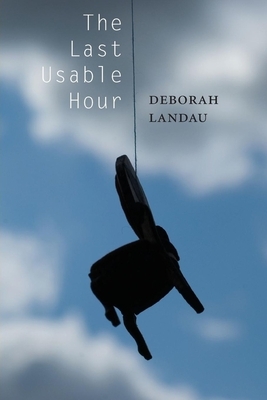 It is "always nighttime" in Deborah Landau's second collection--a series of linked lyric sequences, including insomniac epistolary love poems to an elusive "someone." Here is a haunted singing voice, clear and spare, alive with memory and desire, yet hounded by premonitions of a calamitous future. The speaker in this "ghost book" is lucid and passionate, even as everything is disappearing. Deborah Landau was educated at Stanford University, Columbia University, and Brown University, where she was a Javits Fellow and received a PhD in English and American literature. She co-hosts "Open Book" on Slate.com and is the Director of the NYU Creative Writing Program. She lives in the Soho neighborhood of New York City.